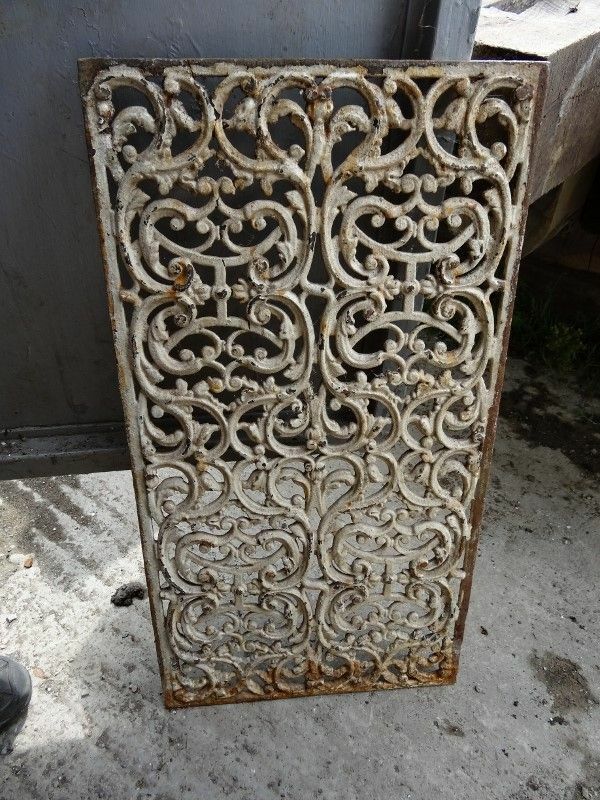 Pierced and Raised Iron Panel. 29” (73cm) long, 15” (38cm) wide, ½” (12mm) thick. Currently in cream paint. 1 of several. 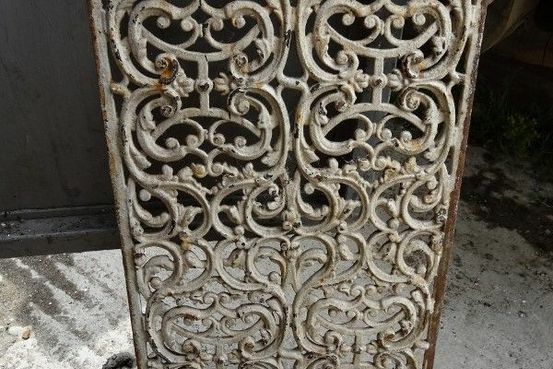 Could be used as insert into a table top, or radiator cover, or door panel.